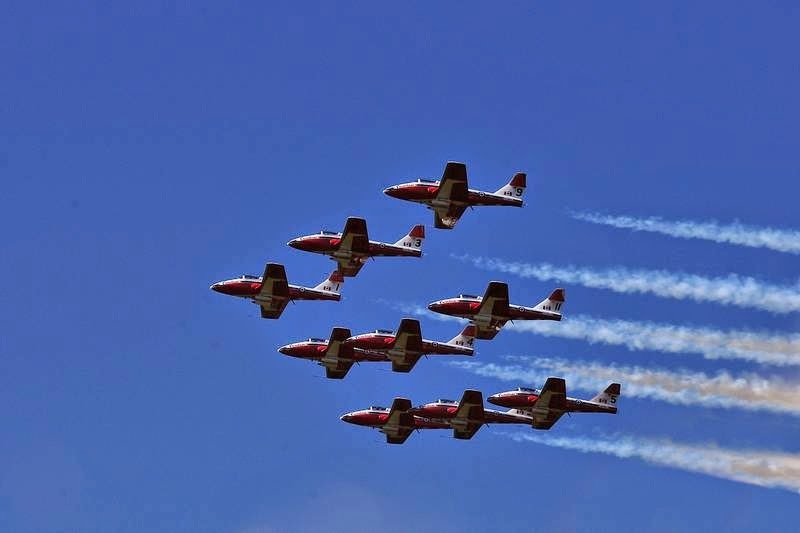 The weather was absolutely perfect on Monday as the missus and me headed up to Comox to watch the Snowbirds run through their paces as they practice for this years season. The skill demonstrated by these pilots as they fly in tight formation and put their aircraft through a variety of of awe-inspiring moves never fails to delight. They will be putting on two practice shows until the end of April with one show in the morning and another in the afternoon. You will never get better seats at any air show than you will during these springtime practice sessions.